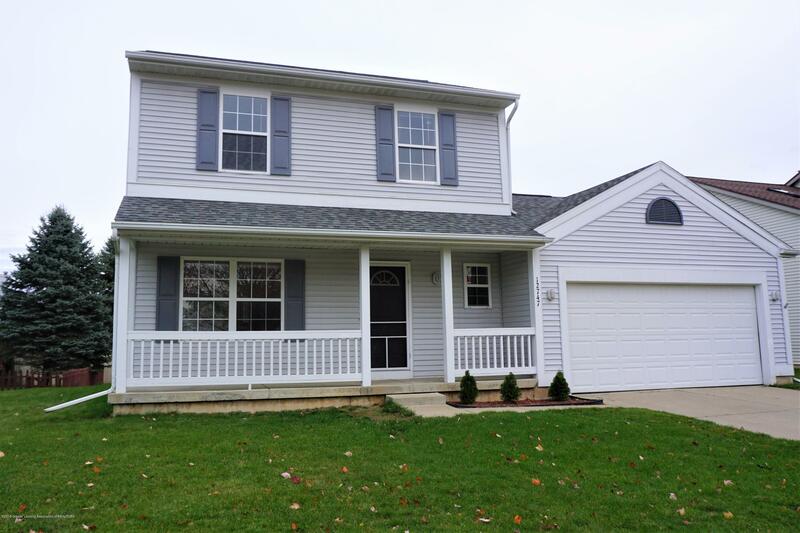 Beautiful 3 bedroom home in Northway Hills, might be just what you are looking for in DeWitt. Open the door to cathedral ceilings in living room, open kitchen and dining room. The kitchen has new quartz countertops, white cabinets, dining room walks out to the deck. The half bath on the main floor was updated with granite. The upstairs has 3 bedrooms with new carpet and a full bath, master bedroom is spacious 11.6 x 14.5. The lower level is ready to be finished. Many updates with new countertops and carpet 2018, airconditioning 2015, roof in 2012.